Sign up for Broadjam today to follow Dreamwind, and be notified when they upload new stuff or update their news! 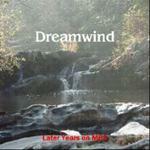 Ninety-one mp3 electronic, ambient and spacey instrumental songs by Dreamwind. MP3 with 117 songs of electronic ambient instrumental music ranging from dreamy to jazzy. MP3 with 108 songs ranging from electronic ambient dreamy to electronic jazz improvision.